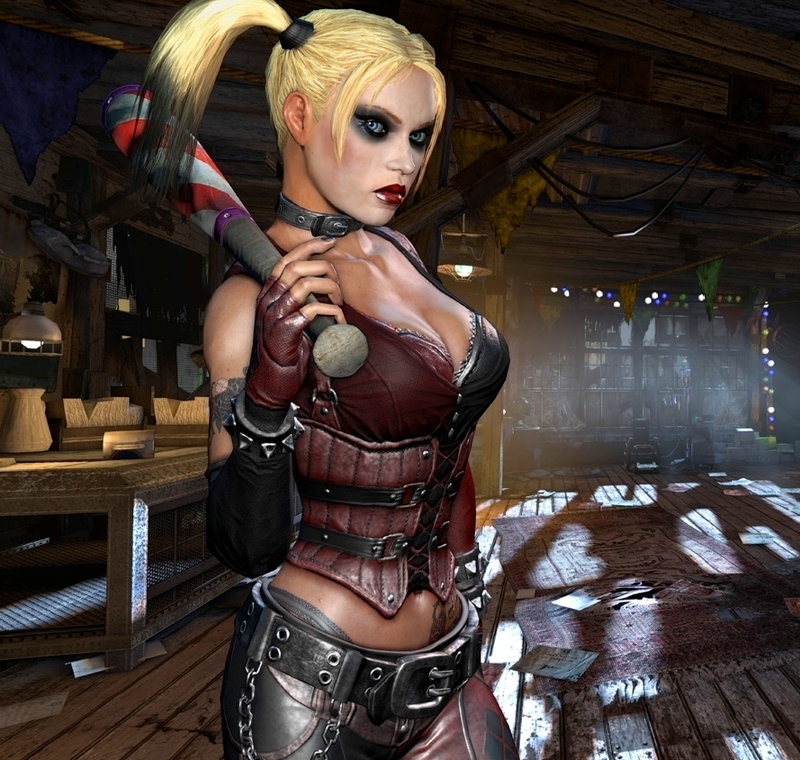 She's Fantastic: NECA Arkham City HARLEY QUINN! NECA Arkham City HARLEY QUINN! NECA surprised us all again with the recent release of a Batman Begins Batman figure and an Arkham City Harley Quinn. Several years ago they released a Michael Keaton Batman and just last year there was a Heath Ledger Joker, an Adam West Batman, and a Christopher Reeve Superman. All these figures were originally released as large 1/4 scale figures, but NECA figured out a way to scale them down to 7" for release at TRU (usually in the DVD section). This release pattern really excites me because some of the remaining 1/4 scale figures are a Burt Ward Robin, Arkham Knight Batman, Danny Devito Penguin... and of course, an amazing Michelle Pfeiffer Catwoman. This time next year I hope to be reviewing that leather-clad vixen. I can't wait! 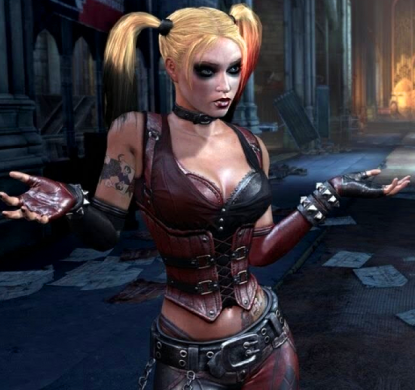 This Arkham City Harley outfit is my favorite of her various video game designs. It's definitely not my favorite Harley look overall, but it is still a super cool figure and I'm more than happy to add her to my collection. Let's check out the NECA 7" Harley below! This figure has a lot of great articulation. My only issue with her is that I wish some of the joints had a wider ranger of motion. Her elbows can't curl in too far and her hips are pretty limited. Here she is with the DC Direct version on the Left and the Mattel version on the Right. And next to last year's Adam West Batman and Christopher Reeve Superman. I love these figures so much. Wow! I didn't even realize this was out! Gotta get me to Toys R Us! Yeah she was a total surprise. She was in the first store I looked and they had more than 10 of her. But every store I've stopped in since seems to have not stocked her yet. I completely didn't know this existed, she's gorgeous! I think the face sculpt is even prettier than the in-game model, but perhaps her expression is a little too kind and not devious enough.